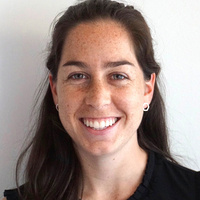 Jessica Sadye Wolff is a Master in City Planning candidate at MIT’s Department of Urban Studies and Planning focusing on land use planning and spatial analysis in contexts of urban displacement. She received the 2017 USAID Office of Foreign Disaster Assistance Graduate Student Fellowship in Humanitarian Shelter and Settlements. She previously worked as a Community Economic Development Peace Corps Volunteer focused on small business development and youth entrepreneurship in Senegal. Jessica earned her B.A. from Tufts University in International Relations and Economics. Jessica’s research provides a critical lens into Germany’s highly lauded new land use planning policies for rapid construction of refugee housing. Examining Germany’s unprecedented commitment and political innovations to provide housing for more than 1.4 million asylum seekers over the past four years, she argues that the spatial aspect of a refugee's integration experience has been under-acknowledged and must be foregrounded in the housing site selection process. In comparison to other refugee housing programs around the globe, Germany’s use of urban planning regulations and neighborhood planning processes to provide refugee housing is exceptional. Using a case study of state-provided refugee housing in Hamburg, this research analyzes the local government’s implementation of an unprecedented federal building regulation, enabling the temporary construction of refugee housing in non-residential areas. This research provides an alternative to leading refugee housing models relying on incremental construction and rental programs, and highlights the importance of linking the historically segmented phases of emergency housing with long-term development and land use planning in cities experiencing rapid urbanization as a result of migration. Practices from this case study, as well as opportunities to refine the approach, provide insight into the development of refugee housing policy in land-constrained urban areas in the future.